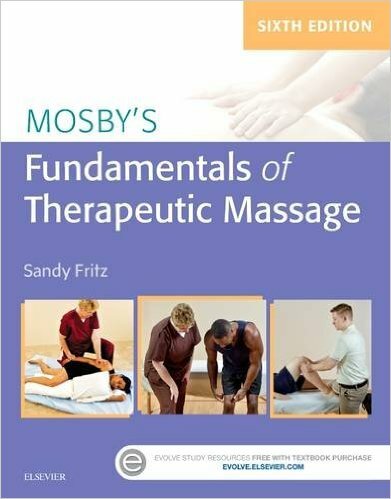 For success in practice, Mosby's Fundamentals of Therapeutic Massage, 5th Edition provides you with a solid foundation in the fundamentals of massage therapy. Expert author Sandy Fritz shares her wealth of clinical expertise, keeping a consistent focus on clinical reasoning with an increased emphasis on competency-based outcomes. In addition to teaching you how to skillfully apply massage techniques, this text also covers important practice management topics such as ethics, legal issues, sanitation, hygiene, business practices, and professional developmentLog in to the companion Evolve website for interactive games and learning exercises. 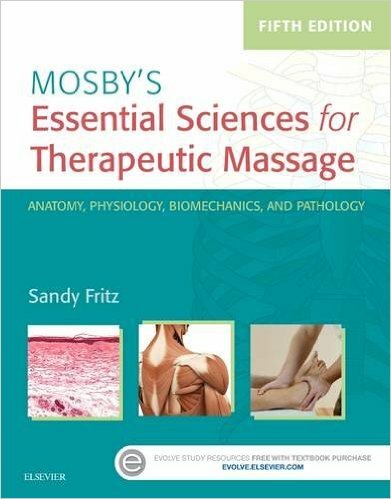 The fourth edition of this science essentials text for massage students features new full-color photos and illustrations along with an easy-to-read, conversational style that explains A&P concepts clearly. The book not only helps students learn the information they need to pass certification exams, but it also helps them see how scientific content applies to actual practice. 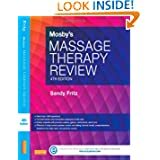 This new edition also features a very enhanced Evolve resource package, along with new material on boosting your knowledge of nutrition and research - two subjects of growing interest in the massage therapy profession. Also available in a comprehensive and ready to teach online course!!!! The competitive athlete, whether amateur or professional, presents specific challenges to the massage therapist. To treat these individuals, the therapist should have a background in sport specific activities, be aware of the effects of training, and understand injury types and rehabilitation applications. 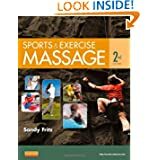 This text describes patterns for sport activities (like running, throwing, impact, and repetitive use) and provides guidelines for applying massage to specific sports. Because athletes depend on highly coordinated neuromuscular activity, assessment and massage applications that address these physiologic mechanisms are covered in depth. 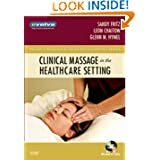 Covering advanced massage therapy skills, this practical resource prepares you to work with medical professionals in a clinical setting, such as a hospital, hospice, long-term care, or other health-related practice. It discusses the many skills you need to succeed in this environment, helping you become a contributing member of an integrated team. Also covered are the essentials of clinical massage, such as indications and contraindications, review of massage methods, range of motion testing, SOAP note documentation, and a massage therapy general protocol. Case studies show how a multidisciplinary approach applies to real-world clients. By coordinating your work with other health professionals, you can enhance patient care in any clinical setting! Copyright 2012 Sandy Fritz. All rights reserved.